Windows Phone 7 is quickly becoming a mobile gaming monster, with Xbox LIVE integration, a selection of top titles and the flexibility to play anywhere. There is much more to gaming on your WP7 handset than simply clocking up extra achievements and moving onto the next game, however. This is a whole new gaming ecosystem which is likely to spin-off into delivering the most amazing multiplayer experiences thanks to the Mango update for Windows Phone. Whether you’re experienced with Windows Phone 7 gaming or just getting started, these tips on gaming and choosing the best titles will show you what is available on this exciting mobile gaming platform! If you’re coming to Windows Phone gaming from a different platform or this is your first mobile gaming system, you will find it useful to learn how games can be installed on Windows Phone devices and where they can be subsequently launched from. Is Xbox LIVE the Windows Phone 7's USP? Many people feel that although Windows Phone is a great platform, it doesn’t really offer anything that can’t already be found on Android or iOS devices. This isn’t strictly true, as integration with Xbox LIVE is a major aspect of Microsoft’s new mobile operating system, and if marketed correctly could be the unique selling point of all Windows Phones. After a successful first year, Xbox LIVE integration with Windows Phone is set to step up a gear for the second generation devices and those updated to the Mango version of the operating system. Xbox LIVE Indie Games (XLIG) and parental controls are introduced in this release, and additional functionality will allow better remote multiplayer options! 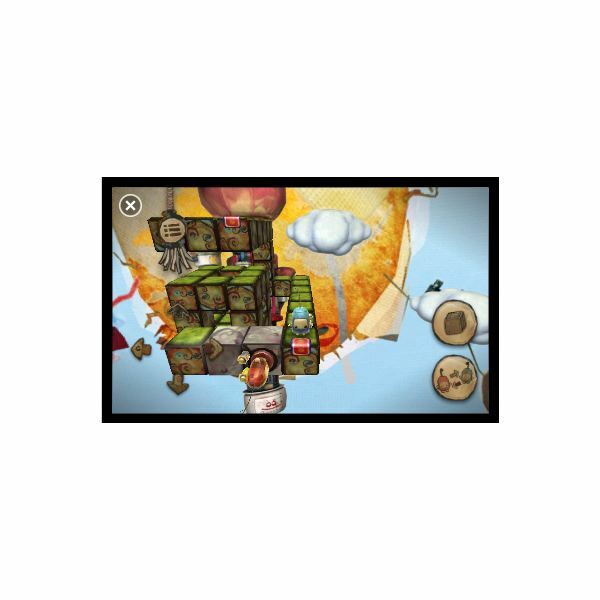 What Do You Think of Windows Phone 7 Marketplace Games? As with any platform, you might run into problems from time to time successfully installing or launching Windows Phone games. These problems should largely be wiped out if you have installed the latest updates for the platform, but if not there are a few other steps that you can take. A number of quality Windows Phone titles are available to purchase from the Marketplace, either with Xbox LIVE integration or as standalone titles. One of the most popular is the cute platform puzzler ilomilo which puts you in control of Ilo and Milo and their quest to rescue baby Safkas. Dare You Face… The Harvest? Fans of role playing games will be delighted to find the high tech RPG The Harvest is available for Windows Phone with Xbox LIVE integration. Guide a robotic suit through a post-apocalyptic landscape to destroy humanity’s conquerors! The Harvest isn’t the only role playing game available for Windows Phone. Glyder puts you in charge of a series of winged beasts as you complete a long airborne mission, while Assassin’s Creed: Altair’s Chronicles charges you with achieving some successful sneaking around and collecting artifacts. Several racing games are available for Windows Phone but few have the pace and urgency of the retro update Hydro Thunder GO. Released as part of Microsoft’s “Must-Have Games” promotion in Summer 2011, Hydro Thunder GO is the best title of a selection of games that included a new release of Sonic the Hedgehog. Fans of retro gaming can find a whole host of options on Windows Phone, from classics such as Tetris and Pac-Man to updated versions of really old games like AstroBlast, a version of Asteroids. Meanwhile Aviator Arcade evokes the spirit of the top-down WWII shooter 1942. Still on the subject of retro games, fans of 8-bit or 16-bit computing platforms shouldn’t miss Rocket Riot, a totally modern shooter that features some awesome graphics that evoke bygone days of playing exciting games on large computers with little RAM or processing power. Rocket Riot is just one of a number of great shooters for Windows Phone, a list that also includes the awesome Impossible Shoota and the frantic Decimation X2. Both of these games could be described as the fastest space invaders-style titles around! Mining games are increasingly popular, and Get Digging is the best of the bunch for Windows Phone gamers. With Xbox LIVE integration you begin the game mining a failed farm and if successful can soon find yourself digging under the pyramids in Egypt! Many sports games can be found on Windows Phone 7, but this title is unusual in that it doesn’t rely on Xbox LIVE integration. Snooker is a ball game similar to Pool, and International Snooker can be played in either one player or two player hotseat mode. It isn’t all arcade games on Windows Phone, however. There are plenty of puzzle games and particularly word games which are always good for getting your brain running again after hours of endless shooting or browsing the web! What Are the Easiest Xbox LIVE Achievements on Windows Phone 7? As you can see, there are a fair few games on offer for Windows Phone, and what we’ve listed here is just the tip of the iceberg. But your interest in mobile gaming might be to simply keep your Xbox LIVE Gamerscore topped up. If this is the case, you should start off with the games that offer the easiest unlockable achievements and points for your Gamerscore.